Suboxone is a partial opioid agonist that contains Buprenorphine and Naloxone. Methadone is a full opioid agonist that is also used in opioid addiction treatment. What is the difference and how do these medications work? What is Correct Dosage for Suboxone? What is Correct Dosage for Methadone? This medicine, created in 2001, is mostly used in opiate addiction treatment. Buprenorphine is an opioid agonist with mild painkilling effect. On the other hand, Naloxone blocks the effects of opioids such as an increased feeling of well-being and pain relief. Moreover, this is actually important for it is these effects that aid the main cause of addiction. Usually, they use Suboxone during the detox period to ease dangerous and unpleasant withdrawal symptoms. In addition, it comes in the form of a film or a tablet. For many years methadone was the only medication for this purpose. Moreover, it has similar effects as heroin but with a lower level of euphoria. As a result, it helps heroin users with drug cravings. According to some experts, Methadone is just as addictive as heroin. Incidentally, it only helps users switch from one drug to another. In fact, there are only a handful of patients who managed to stop using Methadone over time and stay on the right track. First, Buprenorphine is a strong painkiller similar to morphine and heroin. However, it doesn’t cause euphoric state which makes it much less addictive than heroin. The medicine also fills in the receptors in the brain which prevents withdrawal symptoms to kick in. On the other hand, Naloxone blocks the opioid effects. If used properly, it usually won’t cause any trouble. Even so, if the pill is being crushed and injected, that will instantly cause the withdrawal symptoms. Another positive trait of Suboxone is that it doesn’t disrupt one’s breathing like Methadone does. Suboxone is not as addictive as Methadone, which means that patients can safely take their medicine at home. Methadone is a full opioid agonist. This means it only binds to the receptors in the brain and mimics the effects of the drug. For this reason, Methadone prevents withdrawal symptoms, euphoric state, and drug cravings. However, despite many benefits, Methadone is still highly addictive. Therefore, patients have to travel to specialized facilities to receive their therapy. Lastly, Methadone therapy lasts from a few years to a lifetime maintenance. Suboxone mostly comes in the form of a sublingual film or a strip. In addition, the usual dose varies from 2 mg to 8 mg. Actually, the administration of the medicine is cheap because it doesn’t require medical personnel or special clinic. Consequently, after a patient is stabilized, they can lower the dose of the medicine gradually, and if possible discontinued. The usual dose of Methadone for heroin addicts is 80- 125 mg per day. As previously said, Methadone is a highly addictive substance, so medicine application should constantly be monitored. Furthermore, the administration of the medicine is conducted under medical supervision which makes it quite expensive. In some rare cases, they allow the patients to take home a certain amount of the medicine. 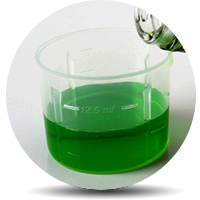 Usually, Methadone comes in the form of a tablet or a liquid solution. One should use Methadone only if prescribed. As a matter of fact, self-medication is strictly forbidden because this medicine can cause breathing depression. Above all, make sure to inform your physician if you are pregnant or breastfeeding because it is still not known if Methadone can damage the fetus. Although Suboxone is much safer than Methadone, users can still abuse it. If they mix it with other drugs it can increase their effects. As a result, this can be very dangerous, especially, if one mixes Suboxone with antidepressants or sedatives. 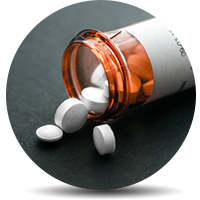 If a person is addicted to Suboxone, there are two options: continual use or supervised withdrawal. Regrettably, there are many cases when Methadone users tried to abuse this medication in order to achieve the same high they experienced while on heroin. As a result, to prevent possible overdoses, doctors do not allow patients to take the drug home. Through many years Methadone has shown a great number of side effects. Although they use it in addiction treatment, paradoxically it can cause addiction. Needless to say, Suboxone is a better treatment option for drug addicts. For example, it is not as addictive as Methadone, nor does it cause as many and as intense side effects. Therefore, why is Methadone still in use? Ultimately, addiction treatment is a long-term process. You can achieve the best results if you combine medications with counseling, cognitive-behavioral, and family therapy. Even so, after detox and inpatient rehab programs, there is no guarantee that the relapse will not occur.